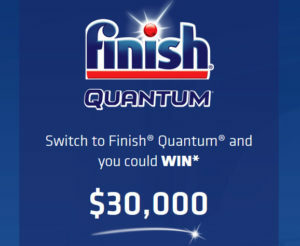 Finish Canada Contest - Win up to $30,000! Home » Expired » Finish Canada Contest – Win up to $30,000! Finish Canada Contest – Win up to $30,000! 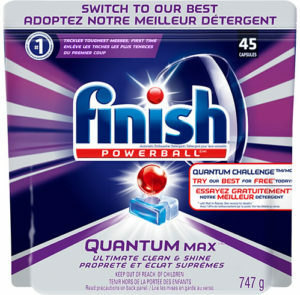 Visit the Finish Canada Facebook page and Share how Finish Quantum powers through your toughest messes, the first time. You could WIN $30,000 or 1 of 34 $250 weekly gift cards. Limit one (1) on-line entry per person or household per week. Limit of one weekly prize win per person. See specially marked packages of Finish 45ct, or 64ct in store for details. Offer only available at participating retailers. Tabasco & Dr. Oetker Contest: Win $7,000 or Pizza for a Year!